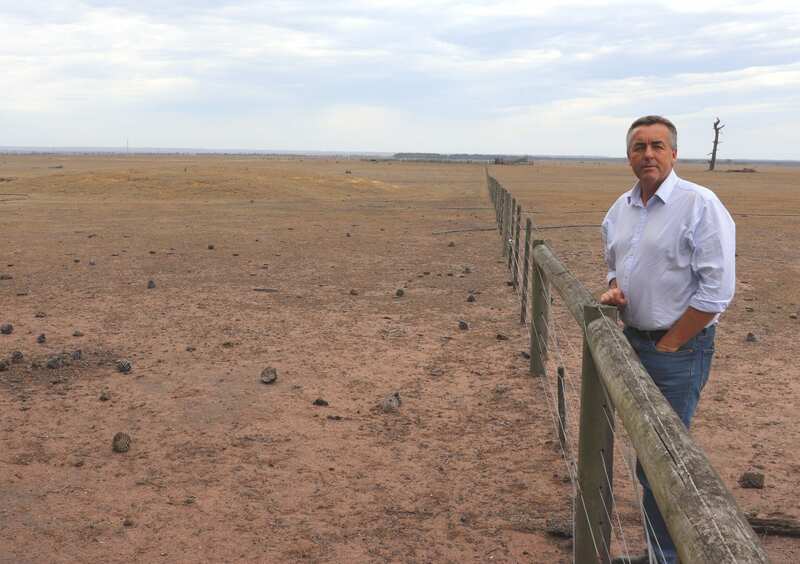 The Federal Member for Gippsland Darren Chester says the worsening drought is taking a toll on farmers and their families and is urging the Andrews Government to sign up to a $50 million Commonwealth rebate scheme to help struggling farmers without further delay. The Andrews Government is under pressure to sign up to a $50 million Federal Government water infrastructure rebate scheme to help drought-affected farmers in Gippsland. Farmers from New South Wales can now access the rebates after an agreement was struck between the Federal Government and the Berejiklian Government. Three Gippsland MPs – Federal Member for Gippsland Darren Chester and his state colleagues the Member for Gippsland South Danny O’Brien and Member for Gippsland East Tim Bull – have written to the Victorian Agriculture Minister requesting she sign up to the scheme as soon as possible. Mr Chester said the worsening impact of the drought was taking a toll on farming families and putting communities under extreme pressure. “I’ve been meeting with farmers and agricultural industry representatives across Gippsland. They’ve been telling me that one of the major issues they are facing is access to on-farm water,” Mr Chester said. Primary producers, property owners, share farmers and lease holders in a drought-affected area can apply for a rebate for new water infrastructure for grazing livestock and to improve drought resilience. Eligible expenses include buying and installing pipes, tanks, troughs and pumps. Twenty-five percent of those expenses incurred since July 2018 can be claimed, or up to a maximum amount agreed by their state government. Mr O’Brien said farmers in New South Wales had been able to apply for the rebate since January 14. “I can’t understand why the Andrews Government is taking so long to sign up to this scheme, which was announced by the Federal Government last October,” Mr O’Brien said. “Our farmers are crying out for help. There is help available, but while primary producers in New South Wales are drought-proofing their properties, the Andrews Government is dragging its feet. Mr Bull last week wrote to the Premier and Agriculture Minister requesting rate relief for drought-affected farmers. “Farmers are telling me they need help with fixed recurrent costs such as municipal rates, which fall due in February,” Mr Bull said. “But some also need a hand to get water to their livestock now, while others are planning ahead and want to invest in their properties so they can endure the next drought. That’s what the water infrastructure rebate scheme will help them to do.